Summer 2011: Week 1 - Terrific Trees and Fresh Mountain Air! | Mountain Kids! 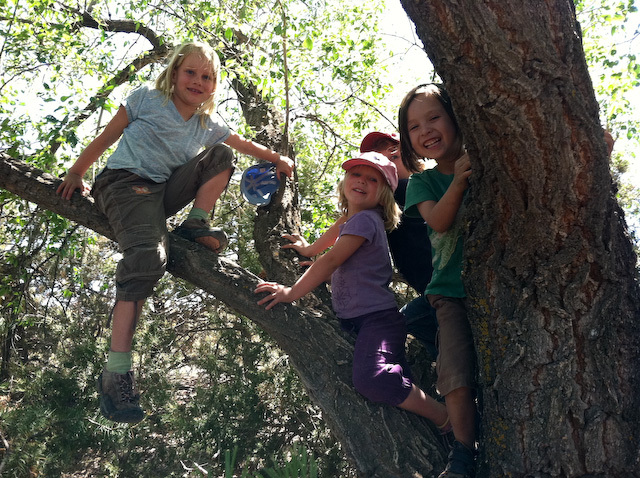 Home / Summer 2011: Week 1 – Terrific Trees and Fresh Mountain Air! 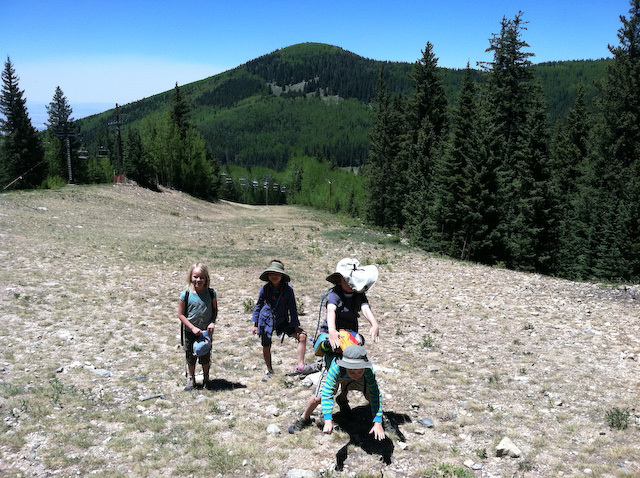 Summer 2011: Week 1 – Terrific Trees and Fresh Mountain Air! We started Mountain Kids Summer 2011 getting to know one another with a morning circle of games and fun at the Children’s Museum. After snack we buckled into the Adventure Van for a day of exploring Little Tesuque Creek. On the way there we all learned “There was a Tree”, a great sing-a-long song for the Adventure Van throughout the week. With such a dry winter, the creek was almost completely dry – a little sad (for adults mostly), but the kids did not seem to mind! There was still plenty to explore and do. 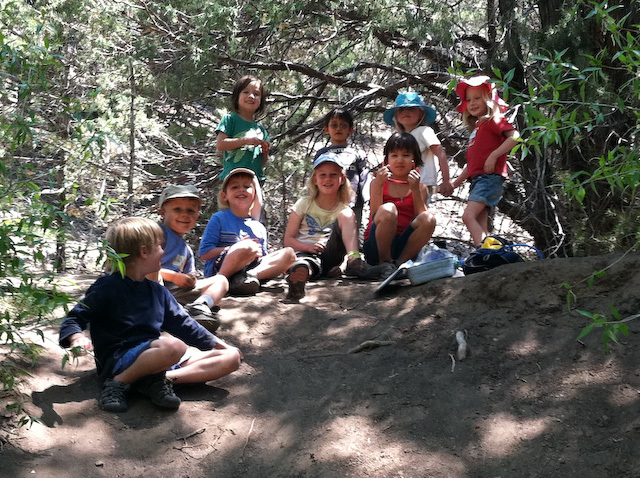 Finding roly poly’s, building a fort, hiking, story telling, art making, and making a dirt slide, to name a few! On our second day we talked about different types of trees and ventured to the “Big T” where the kids got to get up close and personal with a tree. 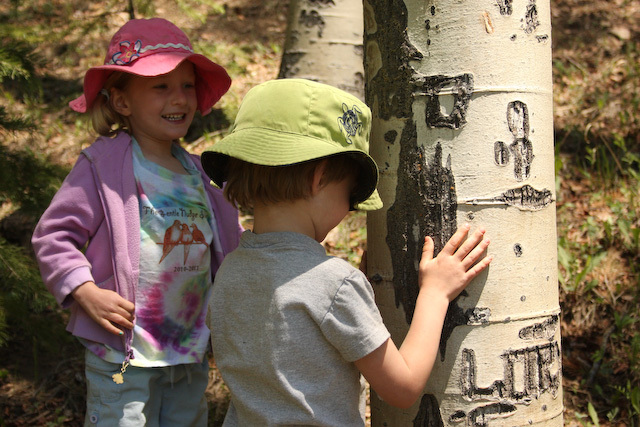 “Meet a Tree” is a favorite activity for Mountain Kids, and they often ask to repeat it on future days at camp. During the activity, they work with a partner. One is blindfolded (or with eyes closed), and their partner leads them to a tree to examine it, and get to know it – smell, touch, hug, reach high, reach low and all around. They are then led back to where they started, remove the blindfold, and try to find their tree! A great way to really “see” a tree. Day three took us even further up the mountain to the ski basin, where we all explored the creek before heading out on a hike. 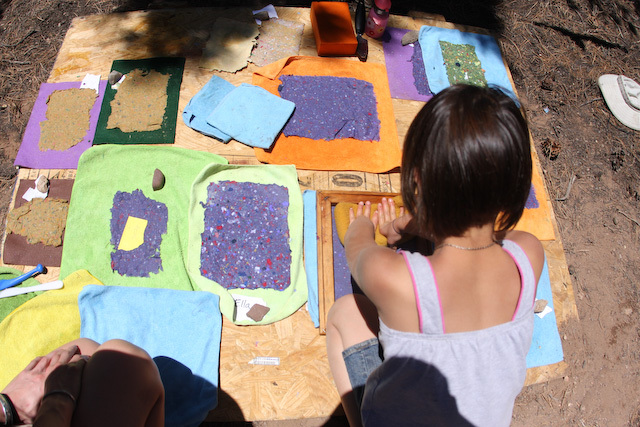 We examined different types of wildflowers, and chose a special few for our flower press and paper making at base camp the following day. Base camp was a great opportunity for group initiative games, forest games, tree climbing, paper making and personal challenge on the low ropes course. I love to see the smiles of the little ones when they get all the way across for the first time! A few photos from the week are below. For more images from Week 1, have a look here.